Meet RETN’s delegates from Poland and the Balkans at RONOG 4 Meeting tomorrow. 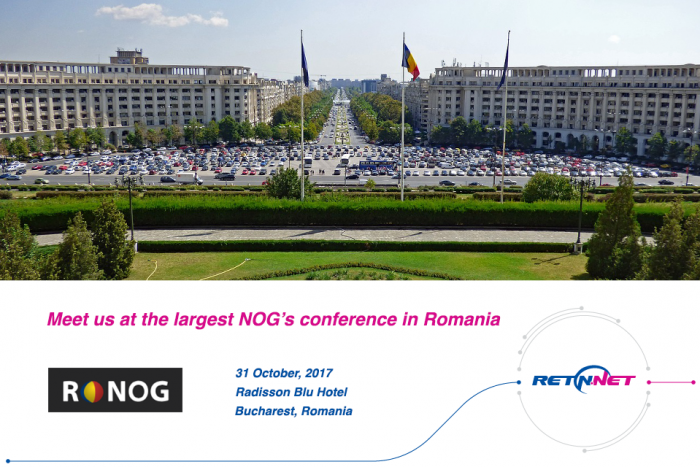 We are sponsoring the networking coffee break at this largest Network Operators Group conference in Romania. Happy to welcome all attendees for a chat wit RETN during the break and anytime at the conference.